American journalist; born in Suwalki, Russian Poland, 1835; died in New York city Aug. 18, 1897. He was well versed in Talmudic and neo-Hebrew literature, and was a skilful linguist. 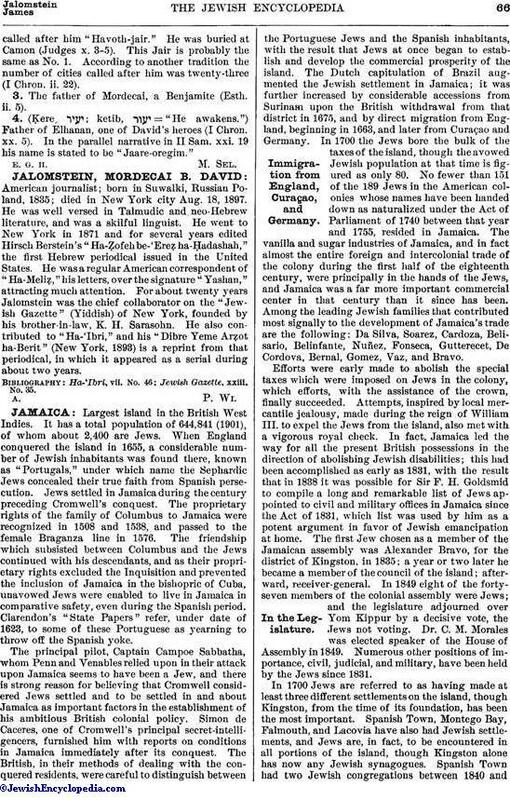 He went to New York in 1871 and for several years edited Hirsch Berstein's "Ha-Ẓofeh be-'Ereẓ ha-Ḥadashah," the first Hebrew periodical issued in the United States. He was a regular American correspondent of "Ha-Meliẓ," his letters, over the signature "Yashan," attracting much attention. For about twenty years Jalomstein was the chief collaborator on the "Jewish Gazette" (Yiddish) of New York, founded by his brother-in-law, K. H. Sarasohn. He also contributed to "Ha-'Ibri," and his "Dibre Yeme Arẓot ha-Berit" (New York, 1893) is a reprint from that periodical, in which it appeared as a serial during about two years. Jewish Gazette, xxiii. No. 35.